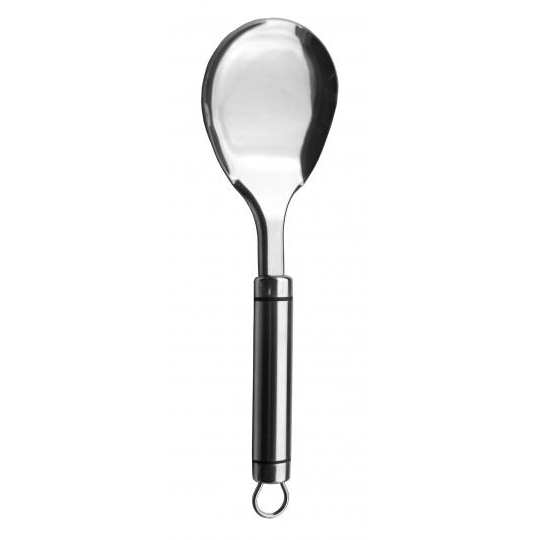 Large Spoon | Kitchen Tools(KEB-215) - Keywood International Inc. This large spoon is another kitchen essential tool. The large surface area of the spoon bowl makes it ideal for serving dry food such as meat or vegetables. Made of high carbon steel for durabillity and reliability. The handle has slot for hanging for drying or not in use. Ideal for serving food such as meat or vegetables.